Launched in 2013 by the Mansion Group, owners and operators of Casino.com, Slots Heaven puts a heavy focus, as the name implies, on their collection of online slot games. Alongside regular table and live dealer games, the selection of slots means that punters of all stripes will be sure to find a game that appeals to them, whether it features famous characters from pop culture or original gaming concepts and creations. But don't let the perceived youth of this budding brand fool you, the parent company Mansion has been succeeding in the world of online gambling for over a decade, launching numerous topnotch online gambling products throughout that time. Slots Heaven is just another in a long line of excellent Mansion products. The reputation of their parent company preceded them as Slots Haven were able to secure a deal with one of the most elite software supplier in the world, Playtech, to power their product despite the brand's youth. Thanks to some help from Playtech, the instant play platform is quick-and-easy, loading pages in seconds on both desktop and mobile. On top of all that, players can test their skills before ever actually committing any real money using Slots Heaven's practice play function. Slots, slots, and more slots are the name of the game here. 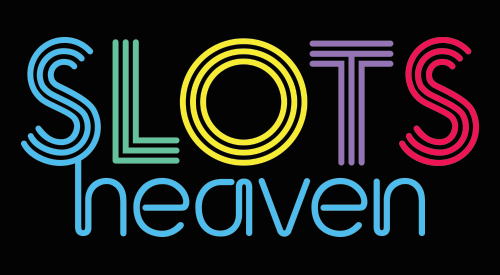 Colorfully brought to life by the industry’s top software provider, the slot games at Slots Heaven are second to none, a sentiment that applies to the general play experience as well. The site also offers some unique giveaways to encourage new and returning deposits, such as fabulous vacation getaways to exotic locations such as Bali. The slots are categorizes on site in 7 different categories which are Classic Slots, Marvel Jackpot Slots, 5-10 Line Slots, 15-20 Line Slots, 25+ Line Slots, Multi Spin Slots, and Progressive Slots, with the DC slots garnering much of the attention. The heralded Playtech-provided DC slot titles include all the most historic characters from the comic giant including Batman and Superman. Slots are the star, but not the only attraction here by any means. Along with live-dealer games they offer blackjack, video poker, scratch cards, and craps, providing pleasant variety for customers looking for something beyond the slots every now and then. A unique offering at Slots Heaven worth mentioning is their Arcades Games section which features around 20 unique arcade style gambling games including a version of Keno and the childhood favourite, Rock, Paper, Scissors.